As Safir newspaper has reported that The United States is ready to provide the Lebanese army by 2013 with aircraft designed for light attack to improve its capabilities in reconnaissance missions and counter-insurgency operations.The The Pentagon has proposed to provide Lebanon with either US made Hawker-Beechcraft AT-6 or Brazilian made Embraer EMB-314 Super Tucano planes. The proposal came during talks between the Lebanese army delegation and U.S. military officials in Washington, DC. 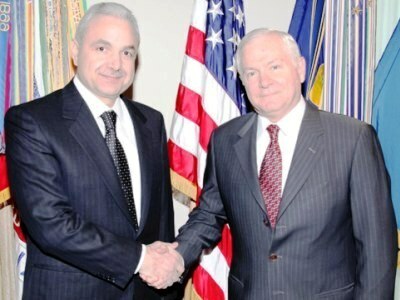 The Lebanese army delegation is accompanying Defense Minister Elias Murr during his visit to the U.S. capital. Despite the worst weather in over a century , Murr was able to meet with several U.S. officials, including Secretary of State Hillary Clinton and Defense Secretary Robert Gates on Thursday. Murr’s meeting with U.N. chief Ban Ki-moon in New York was canceled due to the severe snow storm slamming the East Coast. Murr and his accompanying military delegation return to Beirut on Saturday. As Safir said.